While most people know that credit cards offer fraud protection on unauthorized purchases, most people don’t know that credit cards also offer free warranty extension, purchase protection, and several other benefits. Your credit card will automatically protect most items you purchase up to an extra year beyond the manufacturer’s original warranty. I’ve known this for as long as I’ve been using credit cards. But I’ve never had to use this feature… until last month. Slowly but surely, I’ve started to notice that my iPhone 5 (purchased over 1 year ago) was losing battery power faster than normal. 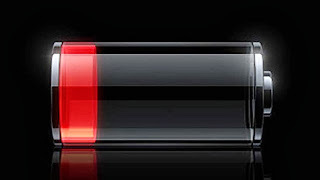 My phone used to make it through a long day of heavy usage, but now that my phone’s battery wasn’t holding a full charge as well, I found myself sometimes re-charging my phone in the middle of day. When I went to the Apple store, the customer service rep at the Genius bar told me that my iPhone was no longer covered by the standard manufacturer’s 1 year warranty, which would have covered battery replacement for my defective phone battery. Now, I was told that I could either have them replace my iPhone battery with a new one for $79 (plus tax), or I could get credit for my iPhone 5 and upgrade to an iPhone 5s by paying the difference. I’m happy with my phone and not interested in upgrading right now. The next thing I did was call my credit card company. I always make important and expensive purchases with my credit card. I used my Starwood Preferred Guest (SPG) card to make my iPhone purchase. Instead of paying to have my battery replaced, I decided to call American Express Assurance Company, the service that offers extended warranties on purchases made with your American Express card. Their number is 800-225-3750. A customer service representative was extremely helpful in assisting me with filing the warranty claim over the telephone. I simply had to provide the details of my purchase, such as total amount and date of transaction. It took less than 5 minutes to file my claim. I was told by the representative that I would hear back from American Express in a few days. Seven days later, I checked my account statement on my iPhone and I saw a credit applied to my account! Credit applied to my SPG card account. Filing a claim with American Express was extremely fast and convenient for me. I didn't even have to send them my broken phone or provide them with my original purchase receipt. This top notch service is why I continue to use American Express to make big purchases, and will always chose to use an AMEX credit card like the SPG card first to make electronics purchases. Now, thanks to making my iPhone purchase with my credit card last year, I don’t need to worry about paying to have my phone replaced. While I don’t expect any quality electronic device to malfunction on me, I can rest assured knowing that credit cards will automatically offer an extended warranty and keep all my future purchases covered. On a related note, a google search directed me to ifixit’s iPhone 5 battery replacement guide, where I can replace my own iPhone 5 battery for $24.95. In summary: when making big purchases, always reach for your credit card for the extra protection (and points / miles / cash back) offered. And don’t forget to double dip for points when possible.